Entry forms for the 2013 GC Season-Long Competitions were circulated by e-mail today. Hard copies will be sent to those non-email users shortly. Following record participation numbers last year (for the second year running), we are expecting a similarly enthusiastic take up this season. 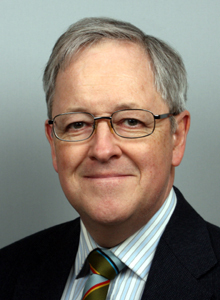 Chris Roberts is delighted announce that he has been appointed as the new Editor of the Croquet Gazette. 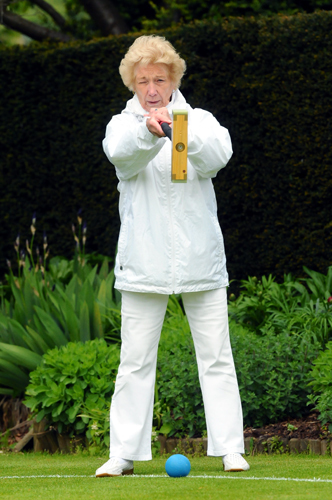 The Gazette is the bi-monthly magazine of the Croquet Association (our national governing body) and Chirs' first edition as Editor will be published in April. This appointment is an exciting one for him of course, but it should be seen as another feather in the cap for you all too, as members of Phyllis Court Croquet Club. The magazine, which dates back to 1904, is delivered to the homes of every member of the Croquet Association and to the secretary of every croquet club. The Phyllis Court Croquet Club copy of the current edition is available in our pavilion during our playing season and in the our reading room file at other times, along with back editions. 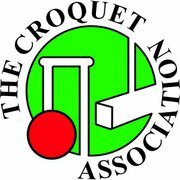 You can of course get you own copy of The Croquet Gazette by joining the CA (membership forms were circulated a few days ago but do see Chris if you would like another one). Three new Tournaments were announced at our annual pre-season meeting yesterday. For the dates of all our many Tournaments, please see our on-line 'Calendar' buton on the left. Members also enjoyed our traditional Winter Lunch yesterday, organised by Ann Norman. Heather Masheter of (left) scooped a second tournament victory of the winter in this month's Hamptworth GC Tournament. This was her second sucess of the series and included wins over two 3 handicaped players; Keith Southern (Swanage) and Roger Price (Bransgore).